no matter how cold it is sometimes, i still long to wear my favourite summer dresses. i wore this dress for one of my very first outfit posts back in may (see here if you want to see it full; be warned the quality isn't very good) and i still love it as much as the day i got it in the post. 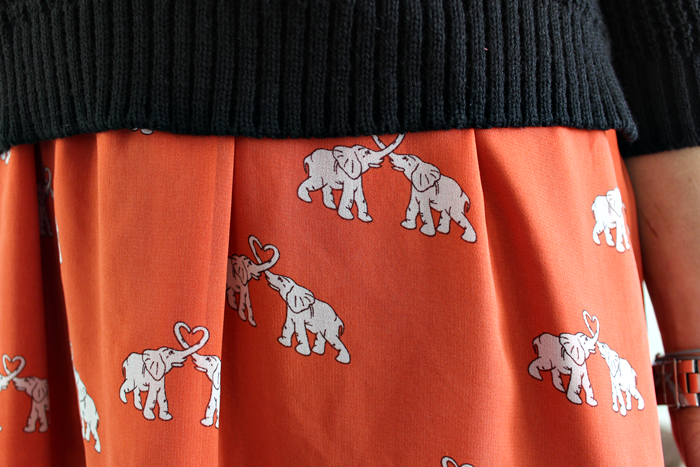 i have a soft spot for elephants and what better way to put them on a dress than making them make a heart with their trunks! seriously, melts my heart every time. as much as i'd love to just wear the dress on it's own i don't want to make myself unwell in the process, so i decided to pop a jumper over the top and i really like how it looks actually. in other news meet my new best friend, my remote control. it finally came and my goodness does it make my life easier. just when i was doubting that i'd wasted my money on a camera that wasn't even that good, this swooped in and saved the day. 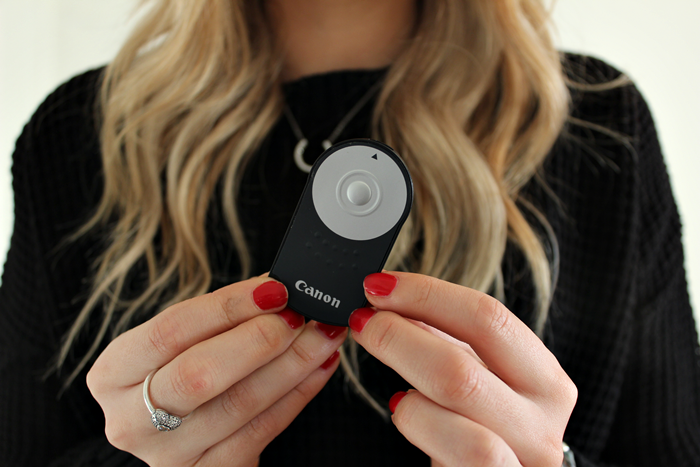 just by a click of a button it allows the lens to focus and take good quality photos. i'm still learning everyday but i like how much better my photos are becoming. p.s sorry for the cushion making a slight appearance in one of my photo's. i obviously sat down for a break and forgot to move it out of the way afterwards. Your necklace is gorgeous and I like the jumper. Knit jumpers are essential for this weather, xoxo. It's always nice to add a bit of summer colour when it's gloomy outside. I desperately need to get a remote for my camera!! Lovely outfit Hun! I really like that jumper! are you using your remote in these photos then? This outfit is fantastic on such a lovely figure. I do love Primark. 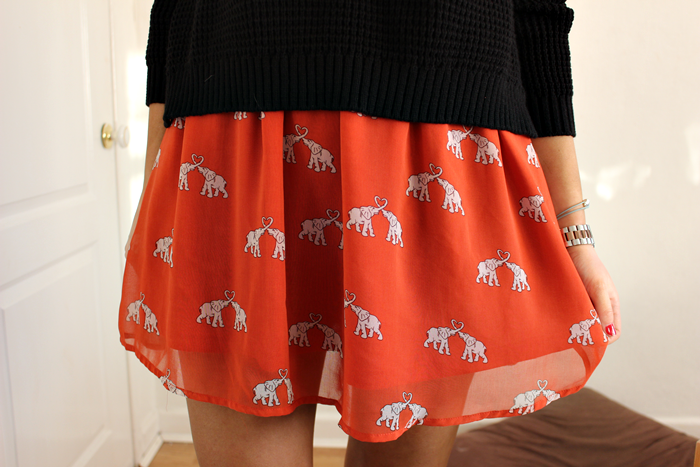 I absolutely adore the print on the dress, I was always so tempted to get this dress.